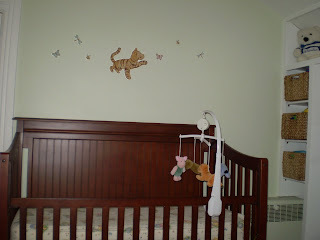 The nursery was done just in time for Aaron. Here's the "after" picture I promised. See here for the "before" shots. 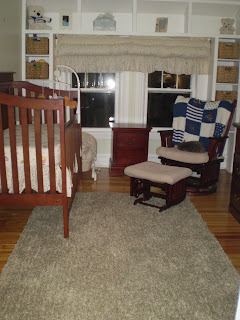 The Classic Pooh crib set was Genevieve's when we lived in Downers Grove. 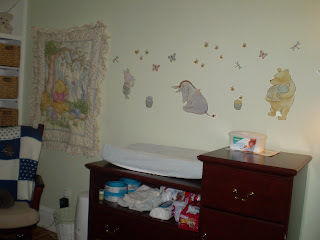 My mom and I put up the decals the night before I went to the hospital. If you look close, you can see the cat sleeping on the rocking chair in the first picture. She loves to sit with me when I nurse Aaron. Below you can see that she likes some of his other things too!